Is there such a thing as young and old humour? So how many times have you been asked a dry “Knock knock” joke? Some may think they’re lame (to be honest that would include me) or childish. Or what about the time your “older” co-worker refers to an idiom or an “old saying” as a joke. Again, I would be the one who would let out that awkward laugh and pretend it’s funny. As a Generation Y, what do I find humorous? Definitely, that hilarious “Laughing Baby” viral video making hits on YouTube! Or that amusing clip on Asian vs. White parents. Now would other generations, especially the older generations, think the same? Of course, there will be some who find it funny, while some would think it’s inappropriate or immature. Does this mean there is a division between different generations on humor? Now personally, (correct me if I’m wrong) I think this is not the case. Just like any other situation, it TOTALLY depends on the person we are talking about, is it not? Generally speaking, we would believe that the older generations would feel uncomfortable with some topics such as racism or sexist jokes. Why do you ask? Well let’s go back in time, way before the inventions of Ipods, Imax movies, and the internet (yes that would include Facebook and Twitter). Life was much tougher for some people, especially women and coloured individuals. They couldn’t vote, apply for certain jobs, or do certain things. These people had to fight for their freedom and rights. Now, let’s come back and think in their mind set. Would they find the Asian vs. White parent video funny? If they did, would they feel that they SHOULDN’T find it funny as they remember it being a sensitive topic and grew up knowing it was inappropriate to make fun of or let alone mention it at all. Now before you get offended and think I’m too blunt and general about this topic. I AM. Let’s not forget this is a BLOG not a history book. I’m just touching on this topic, and it IS about humor so let’s not get TOO SERIOUS. To change things up a bit lets discuss about the younger generations. Humor, is much more crude these days, don’t you agree? From, sexually active cartoon characters on TV, to extremely violent humor, its just over all vulgar. Every trend on the news, whether its a world crisis, or politics, they are all made fun of in the most insensitive way possible. And guess what? Us youngin’s are LOVING it. Well not all of us, but MOST of us. Now why would that be? Well some might say its due to us not actually having to experience the impact of the situation. Do we actually know what it’s like to be stripped away of certain abilities and rights? Not really. So this could be a reason why we deal with such crucial issues so lightly. We also happen to have something called the internet, where we can bash and criticize all we want and get away with it. Racism still exists, but we can now play around with it without the punishment. Social media has played a great role in easing the intensity of serious topics and turning them into humor. Did I mention one of the most successful comedians today, became such a hit for joking about not only his nationality but others as well. So to sum things up, the older generations DO have a sense of humor and possibly find crude jokes humorous but express as it being inappropriate due to what they know from the past. While the younger generation, aren’t immaturely or inappropriately humorous but are just joking around with what is considered funny in today’s world. Now how does this all tie in with the work place? 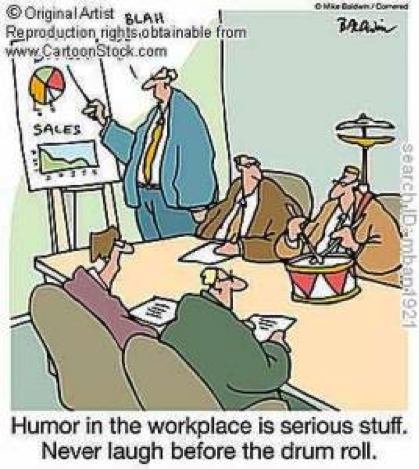 In a cross generational workplace, or in any type of workplace, humor plays a big part on stress relief. Laughter, a reaction to humor, releases endorphin that reduce stress as well as creating a sense of wellbeing and making you feel more alert. Now who wouldn’t want that in their work life? The problem is, it CAN backfire. Humor is PERSONAL so what one person thinks is hilarious, could be offensive to another. So how do we avoid this? – Before you start joking around, get to know WHO you are communicating with. Whether they are older or younger they are ALL different and have different senses of humor. Don’t assume that a certain someone will appreciate your silly joke just because they are from a younger generation. Also, that “awkward silence” moment might be due to YOUR joke NOT being funny and rather offensive, instead of you thinking that they don’t get it. -This is referring to both sides. 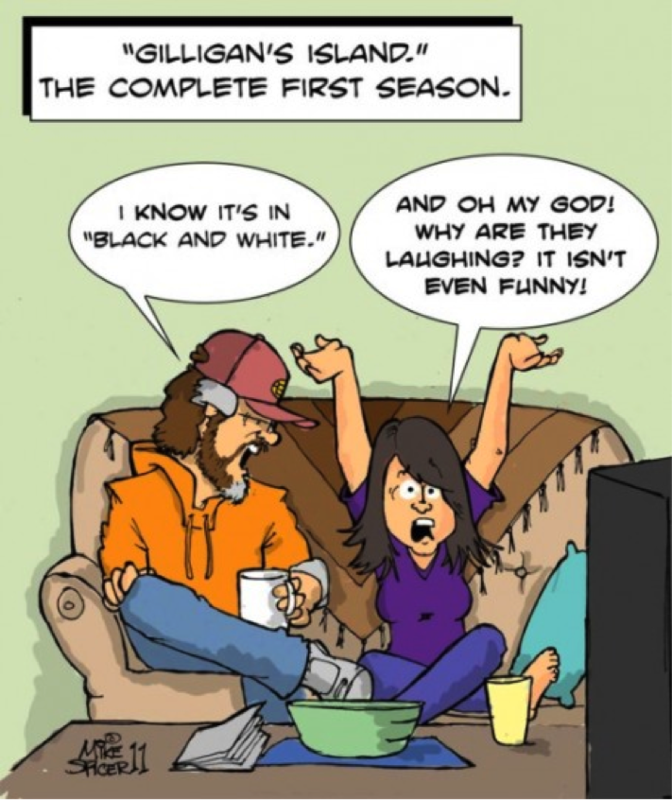 We all must be sensitive when we are SHARING humor as well as when we are RECEIVING humor. By being sensitive, I mean being aware of WHAT and WHOM you’re sharing to, and when receiving being open minded and thinking of WHY and WHOM it’s coming from. -If you feel strongly offended by certain humor that is being told to you or is being said, clearly state that what they are saying is uncomfortable to you. On the other hand, if someone finds something you meant to be humorous as offensive immediately apologize and explain that your intentions were different. 4) BE CARING and ENJOY! -Humor is essential in the workplace. Don’t be intimidated to joke around because you are extra concerned for others. Be yourself and just be cautious.